Free labor stores were found in many northern states, and many individuals went to great lengths to avoid the use of products grown or made with slave labor..one example was the use of maple syrup, substituted for sugar. However, cotton was the most difficult thing to come up with. Thus, agencies in the south were established to buy small quantities from poor, free people, which were then sold through wholesale and retail free labor stores, .managed by such men as Levi Coffin of Cincinnati. Unfortunately, these stores were often unable to make a go of it, due to the scarcity and difficulty in getting sufficient goods to sell. The following was shared by Christopher Densmore, Curator of the Friends Historical Library, Swarthmore College, and is an interesting look at the lengths some were willing to go to, in the name of "free" goods. Journal: A Paper Devoted to the Interests of the Society of Friends, 4 Mo. remember, a frost after the middle of September wilted down the plants. Dr.
shirts that would stand as much wear as these." seersuckers, a circumstance which marked her distinctly among the other children." a Free Labor Store, in Mt. Pleasant, Jefferson County, Ohio, circa 1850. 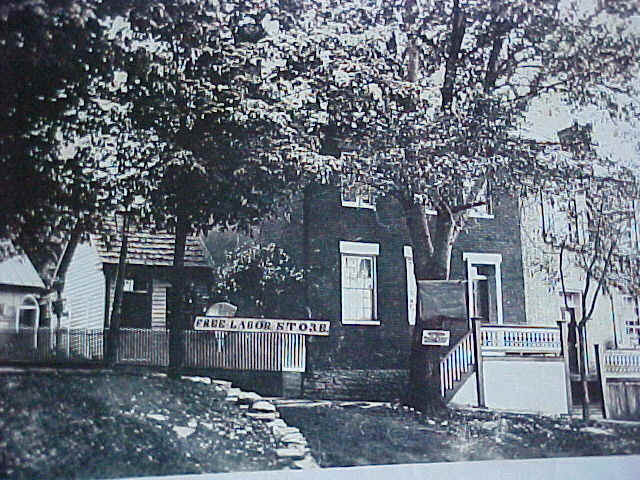 The Free Labor Store operated from 1848 to 1857. 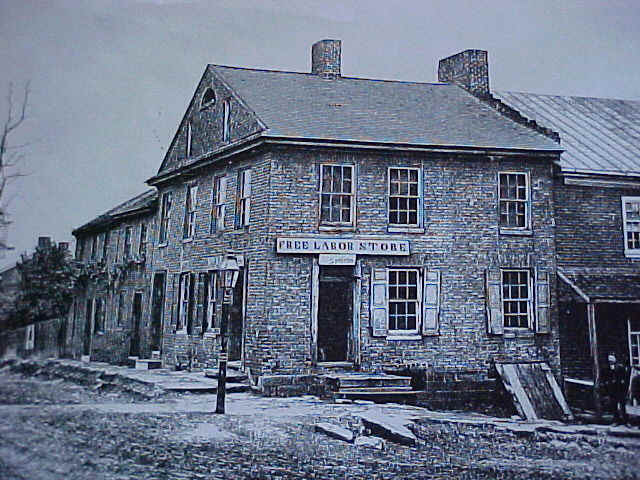 Quakers established the store "for the sale of goods, wares and merchandise in general which shall be exclusively the product of free labor". This was one of 3 stores in town. The building was later torn down.